When is an Autonomous Underwater Vehicle not an AUV? When it is a towed sonar. 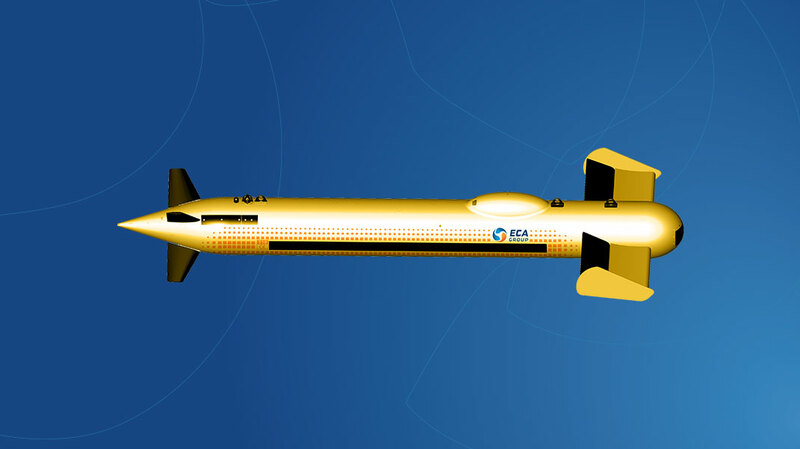 French robotics company ECA Group said that it always that its A-18 M AUV into a towed sonar: the T-18M. The T-18M is essentially the A-18M; they share the same launch and recovery system, both can be launched from an Unmanned Surface Vessel (USV) and the T18-M is equipped with the AUV A18-M's inertial navigation system (FOG - INS + DVL) which, together with theUltra-Short BaseLine system of the USV, ensures very precise positioning in the minefield, says ECA Group. LIke the A-18M, the T-18M can also be integrated with ECA Group’s Unmanned Maritime Integrated System (UMIS), a system of robots (AUVs, UUVs, USVs) for surveying or securing large or complex zones at sea as well as coastal areas, which ECA says reduces the overall total cost of ownership of an unmanned drone system for navies. The nose of the T-18M has been replaced by one equipped with rudders and a towing point and thruster have been removed at the rear. ECA Group says the T18-M meets all mine warfare recommendations (especially the detection or classification phases). Like the A18-M, it is produced in accordance with the STANAG 1364 to minimize acoustic and magnetic signatures and to be able to fly near mines without triggering them. Unlike conventional sonars, the T-18M is self-powered, which makes the towing cable smaller and lighter. ECA says this has several advantages such outstanding navigation performance even at high speeds and when a long cable length is in the water. A smaller cable also reduces the size and power of the winch on the carrier boat and the towing power requirement.